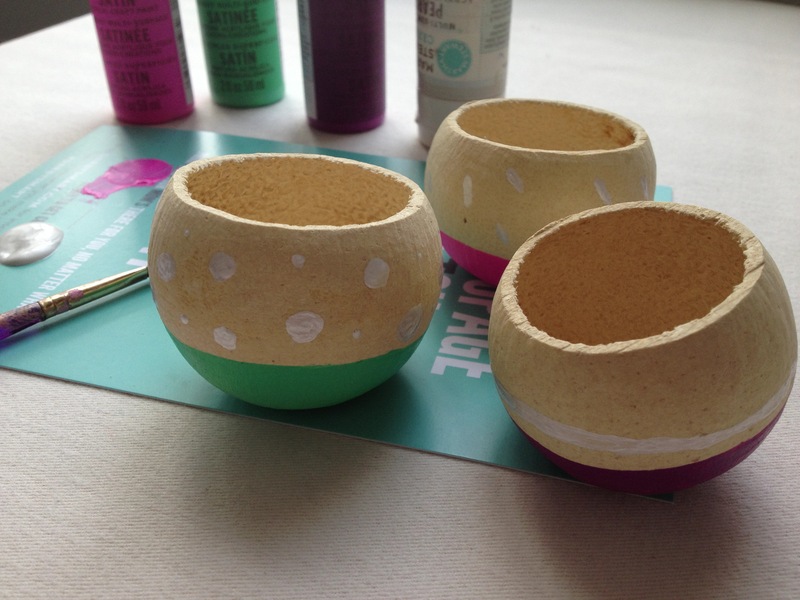 I had been wanting to paint these lil cups for a while now, but it took me a while to figure out where to buy them. (I finally found them via Darby Smart.) Also, I didn’t know what they were called for the longest time. (They are called “bell cups.”) And now the next mystery — What are these things anyway? What are they made out of? The internets can’t seem to explain them. My friends think they are made of dried citrus fruit; I’m going to go with that. Now, let’s craft! Here’s what they look like blank. You can also purchase them with stems on. That makes me think that they are a dried flower pod of some sort. 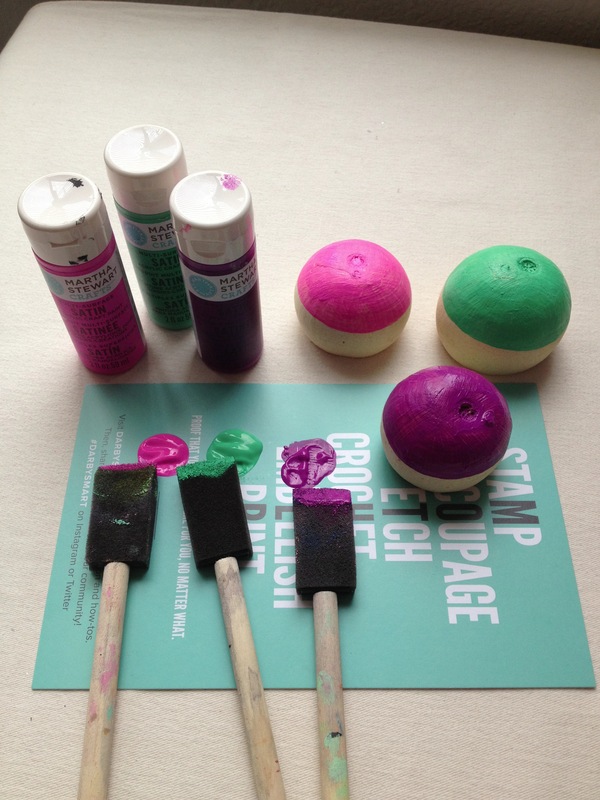 I grabbed some bright acrylics and started with painting the bottom half of each bell cup with a foam brush. I painted on two layers, drying in between. Next, with a regular flat paintbrush, I painted on some simple dots, sprinkles, and a line. Let the paint dry completely. That’s it! I’ve seen these bell cups used for air plants and other floral displays. 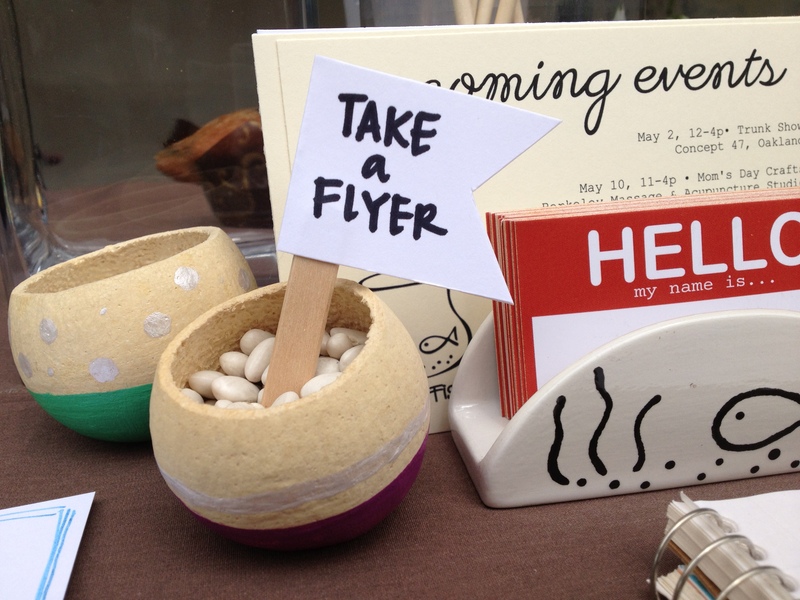 I filled mine with dried beans and used them for mini signage at my craft booth over the weekend. 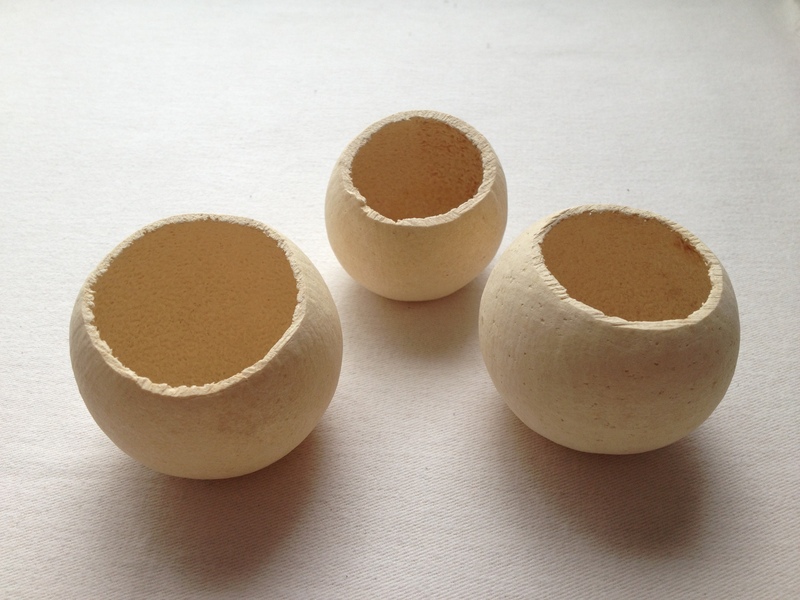 I have a few blank bell cups left to play with. Maybe I’ll come up with other uses for them. The bell cups I used were on the smaller size (~2-3 inches in diameter); I’m still on the lookout for bigger bell cups (~4+ inches in diameter). If anyone knows where to get bigger bell cups, please share below. Also, if anyone knows the truth about what these are, I’d like to hear all about it!